An upcoming lecture examining the complex relationship between political freedom and the free market is happening Friday, Nov. 9 at 6 p.m.at the Texas A&M International University (TAMIU) Senator Judith Zaffirini Student Success Center, room 101. Admission is free and open to the community. Presented by the College of Arts and Sciences and the Institute for Humane Studies at George Mason University, the lecture, titled “Economic Freedom, Private Enterprise & Entrepreneurship,” will focus on the links between economic and political freedoms that are often lost or misconstrued during the heated rhetoric of an election season. The lecture will be given by Dr. Christopher Boudreaux, assistant professor of Economics at Florida Atlantic University. Boudreaux received his Ph.D. in economics from Florida State University. Previously, he has taught at Texas A&M International University. 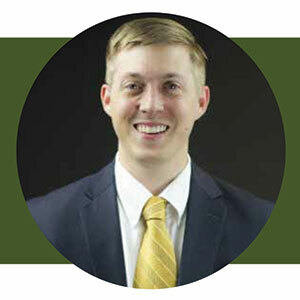 Currently, Boudreaux is a research fellow in the Phil Smith Center for Free Enterprise at Florida Atlantic University’s College of Business. An editorial board member for the International Trade Journal, Boudreaux is the author of over 20 scholarly publications. His work has been featured in media outlets around the world. “This lecture will help frame [students] understanding of the role of capitalism in supporting, or undermining political freedom,” explained Dr. Jack Byham, TAMIU assistant professor of political science. “The lecture will offer them a clarifying and more comprehensive view of the relationship between political freedom and a free market—a relationship that, especially in an election season, candidates of competing political parties are likely to describe in ways that are more self-serving than accurate,” Byham reiterated. For more information, contact Byham at jack.byham@tamiu.edu. University news and information is also available at tamiu.edu and on the University’s social media channels on Facebook, Instagram, Twitter and YouTube.